Elizabeth Price, SUNLIGHT, 2013, two-channel digital-video projection, color, sound, 10 minutes. Rosalind Krauss’s 1976 essay “Video: The Aesthetics of Narcissism” identified various tactics by which the then nascent art form might distance itself from the dislocating, dehistoricizing products of mainstream TV. Number one was to “exploit the medium in order to criticize it from within”a neat formula, but one that also translates into an exasperatingly slippery critical criterion. Like beauty, critique (or its absence) proves to be a matter of perception. Yet when the perception hits, it can hit very hard. 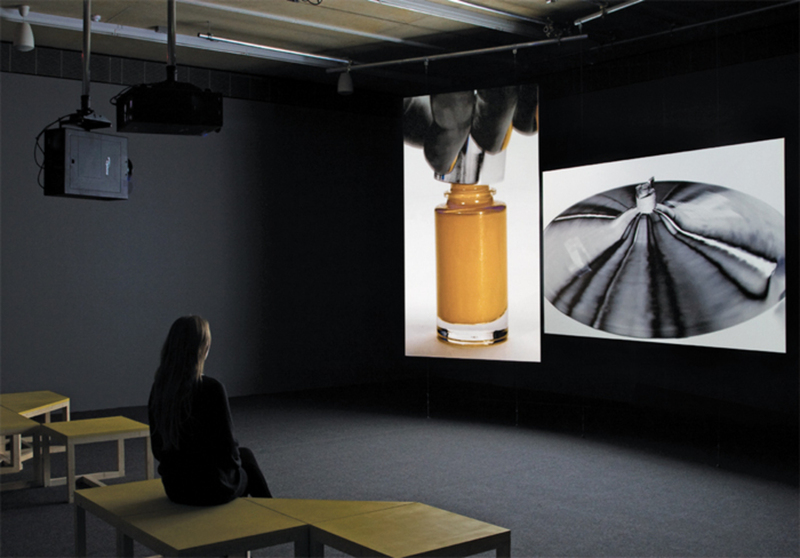 Elizabeth Price’s two-channel, two-screen video installation SUNLIGHT, 2013the main element in her recent exhibition of the same name and the first of a planned series of three videosis a case in point.